Vacation rental condominium. 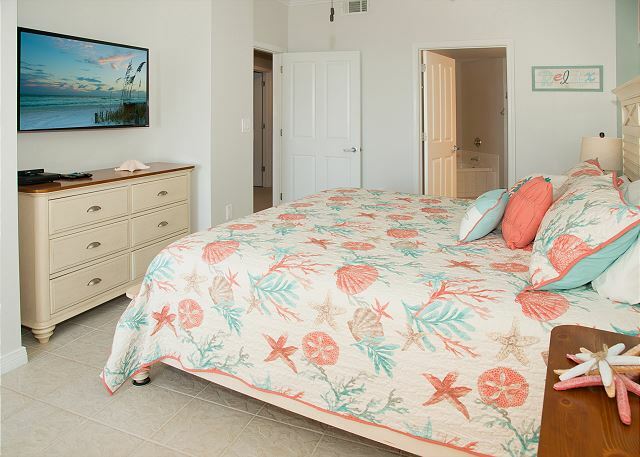 Sleeps 10, 2.5 bedrooms, 2 bathrooms. No pets allowed. 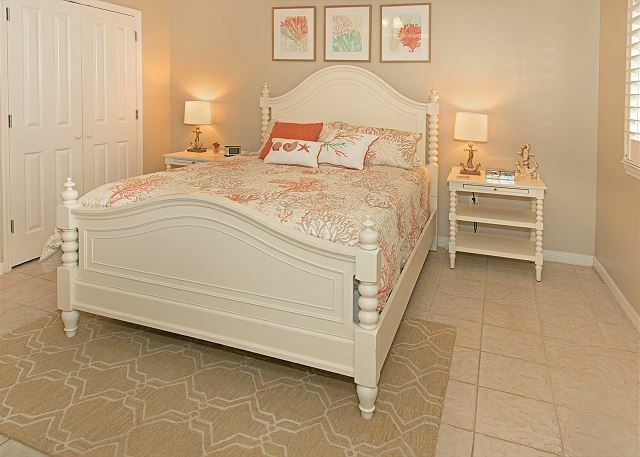 Gulf 416--Completely updated gulf side condo that sleeps 10. 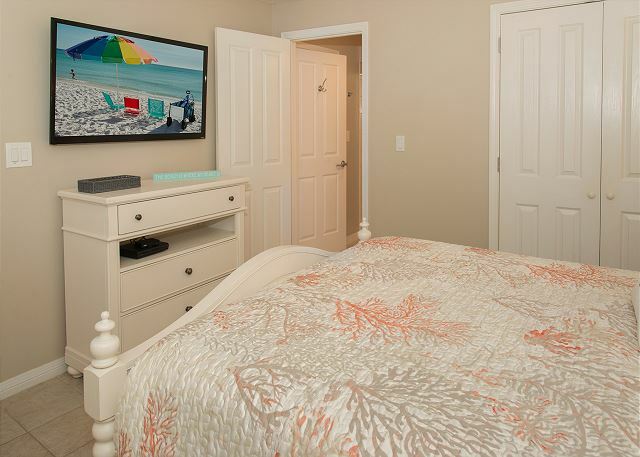 This stunning two bedroom plus bunk room corner beach front unit is unlike many others on Okaloosa Island. 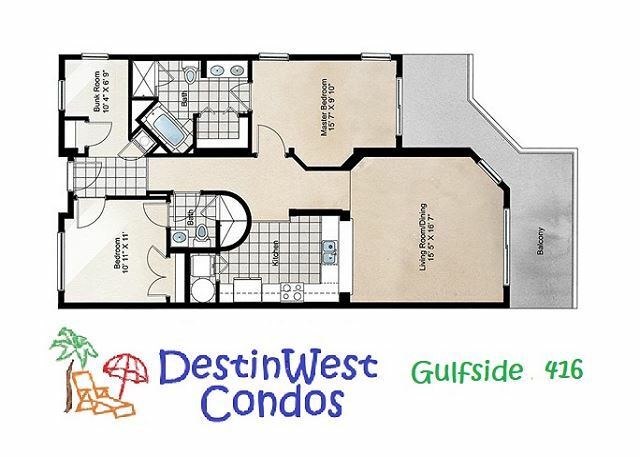 Located directly on the Gulf, this unit is a two bedroom, two bath unit with very unique features and all of the things you will need to feel at home. 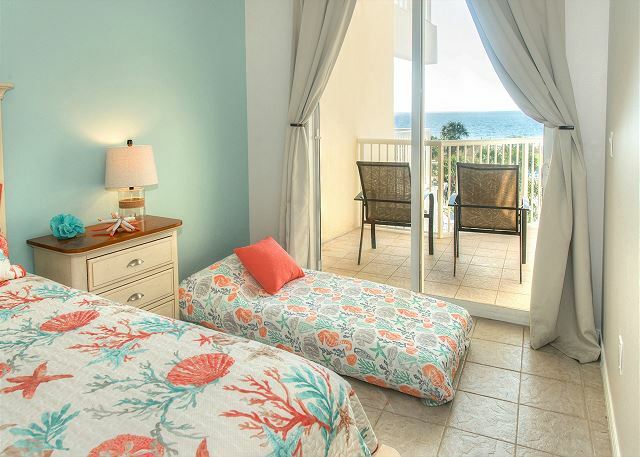 The Master Bedroom with a king bed is facing the Gulf of Mexico, and also has direct balcony access. 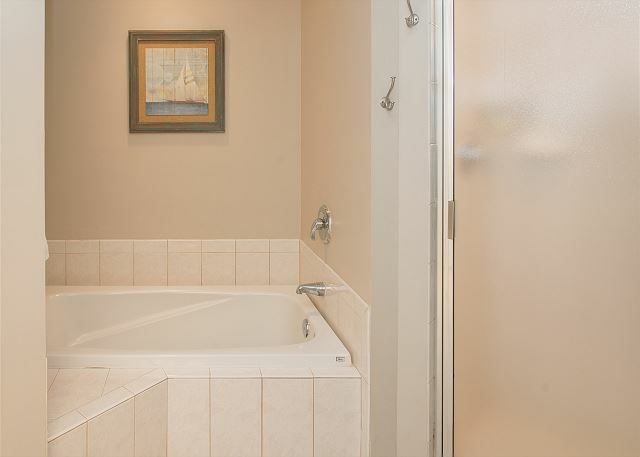 Attached to the Master is the private bathroom with a spacious walk in closet. There is also a chair that folds out into a sleeper for one. 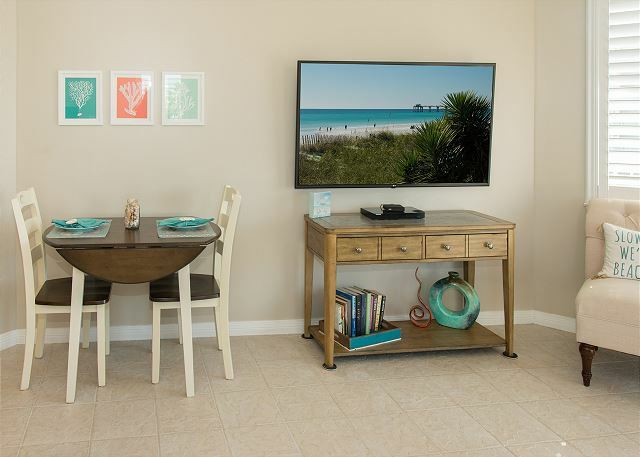 Enjoy lounging with a 30" flat screen. Guest bedroom and bunk room are decorated with the beach and relaxation in mind to make you forget all about the worries of everyday life! Queen bedroom and Bunk room both have flat screen tv/dvd players with a spacious guest bathroom. 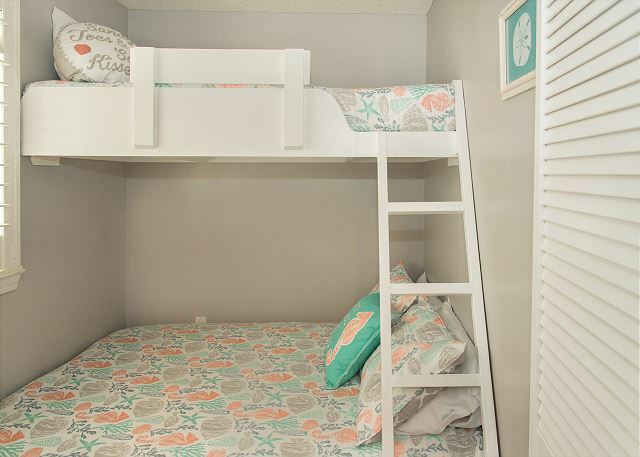 Bunk room has been updated to a full bed on bottom and twin on top for additional sleeping options. 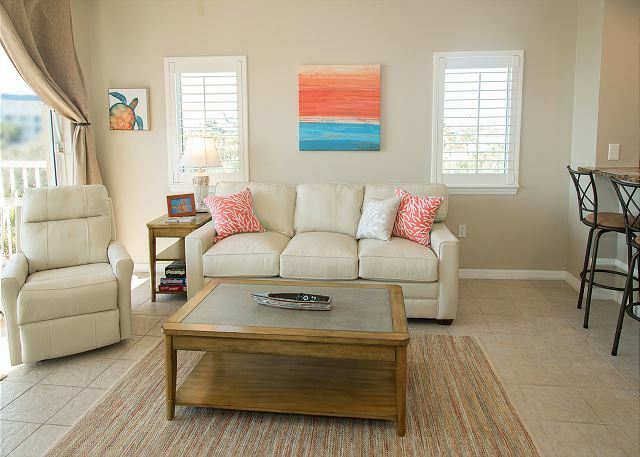 Living room sofa has a sleeper sofa with all linens included. 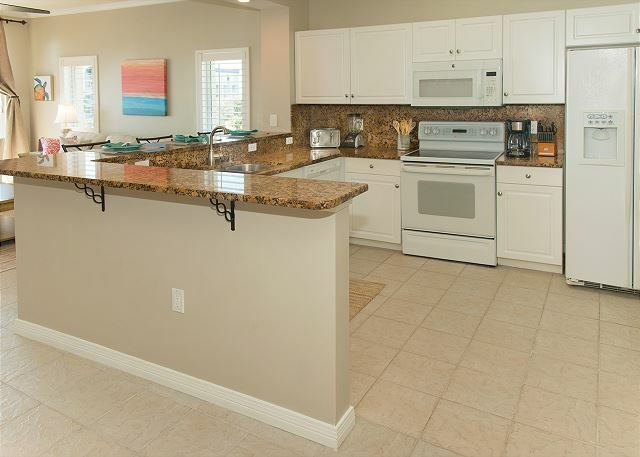 Cooking is enjoyed in this very open kitchen, that is fully equipped and enhanced with views of the gulf. We've got you covered with everything you will need to prepare anything from a gourmet meal to a picnic lunch. If you're a coffee drinker, bring your K-cups because we have a Keurig for you as well as a standard coffee maker. 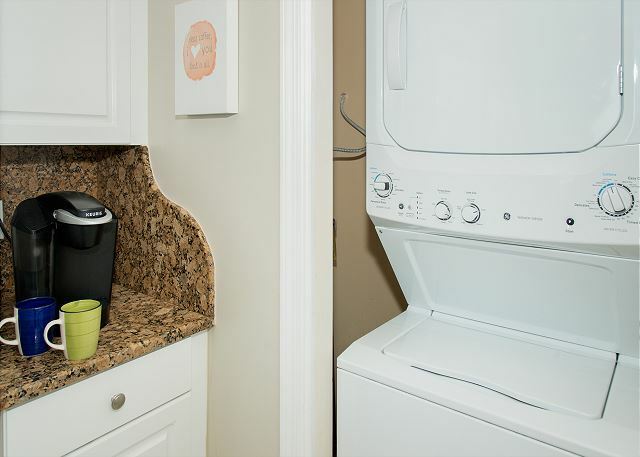 *Laundry Room is located in the kitchen in it's own doored space. 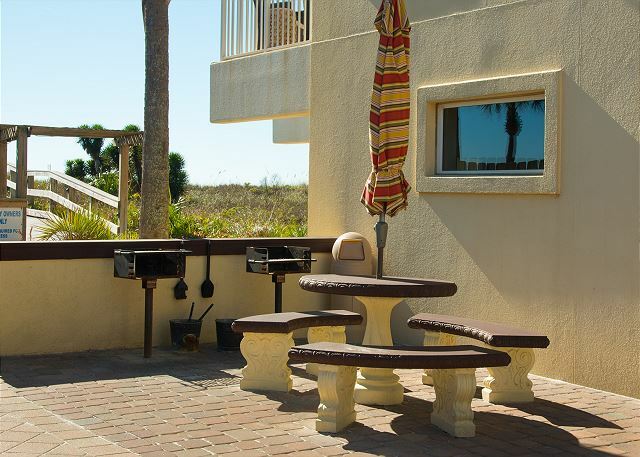 *Seating for five dining table and the breakfast bar, in addition to seating for six on the patio. 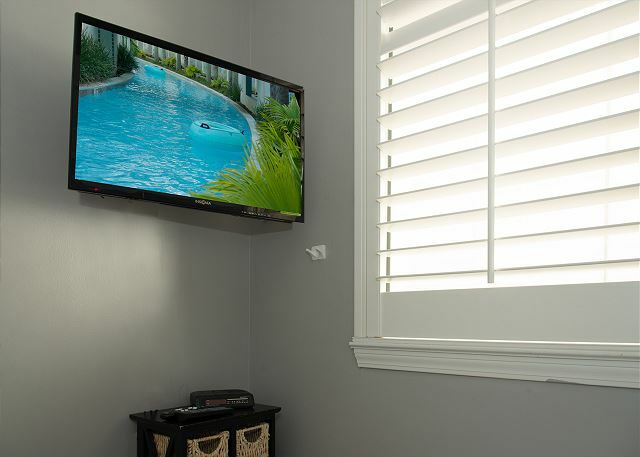 *A comfortable Living Room with a 50 inch smart TV with internet for your entertainment. 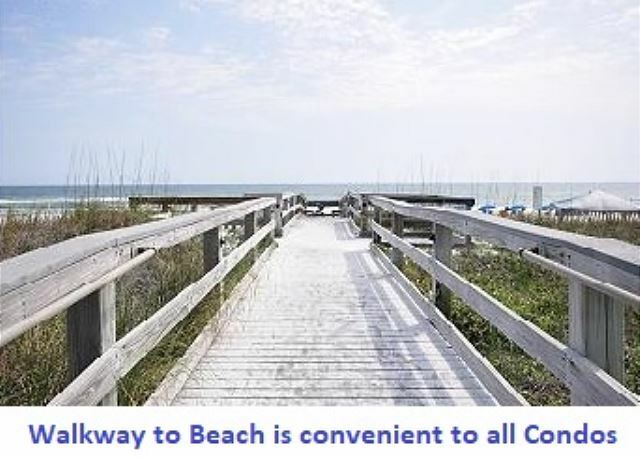 *Beach chairs, umbrella, and wagon for you to use while you enjoy your stay. 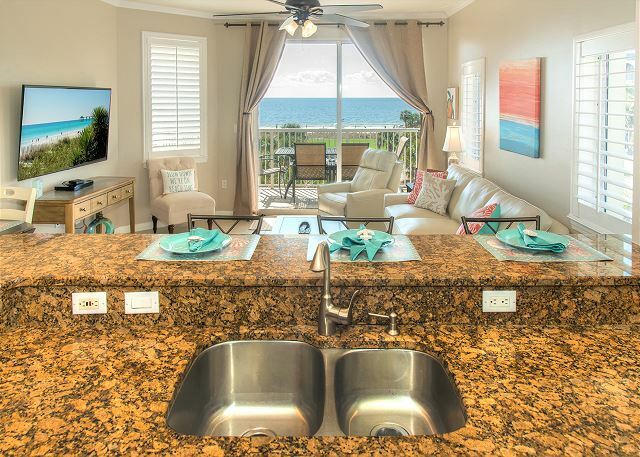 What else could you think of that doesn't make this the ultimate TWO BEDROOM on the Gulf?? 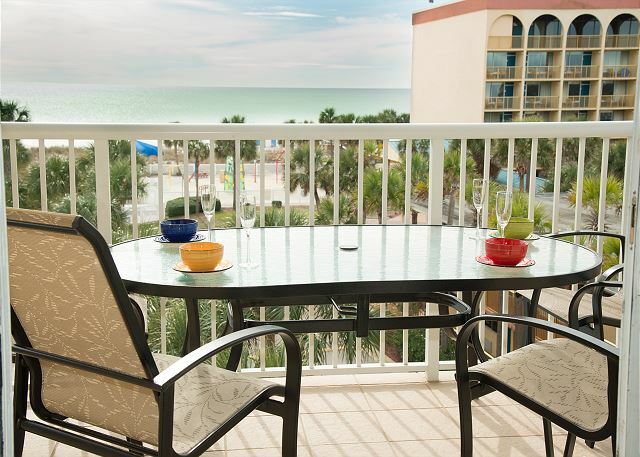 Guests of DestinWest have access to the beach or bay side. 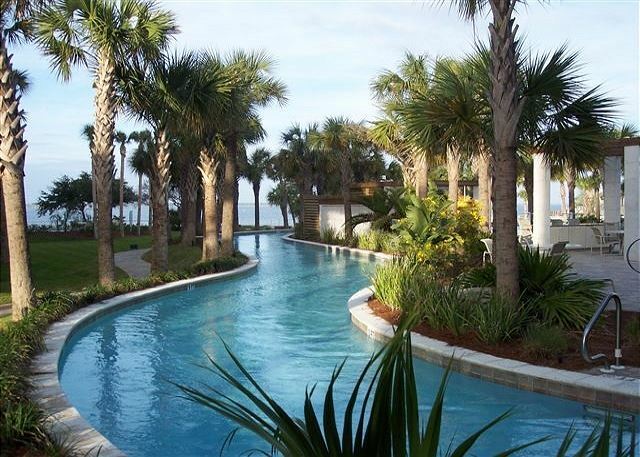 Bay side is the host of the 700 foot lazy river, several pools, hot tubs and a brand new marina. 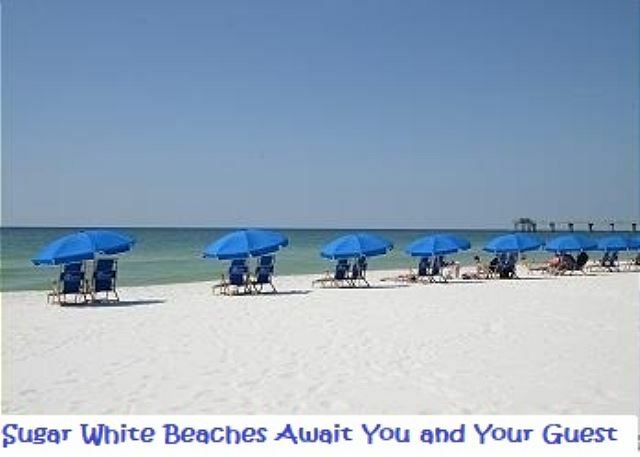 There is a state of the art gym located on gulf side for those that can't give up working out even on vacation. NO CHECK INS...ALL OF YOUR ENTRY INFO IS PROVIDED BY EMAIL AHEAD OF YOUR STAY. This was our second year in a row to stay in this particular condo. 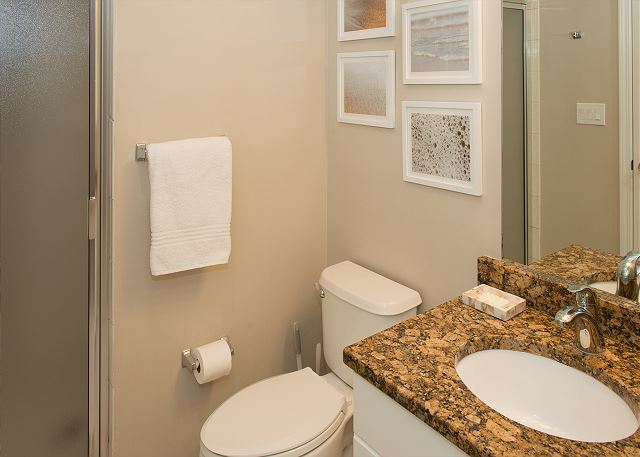 The unit has always been ready on time and is very clean and comfortable. 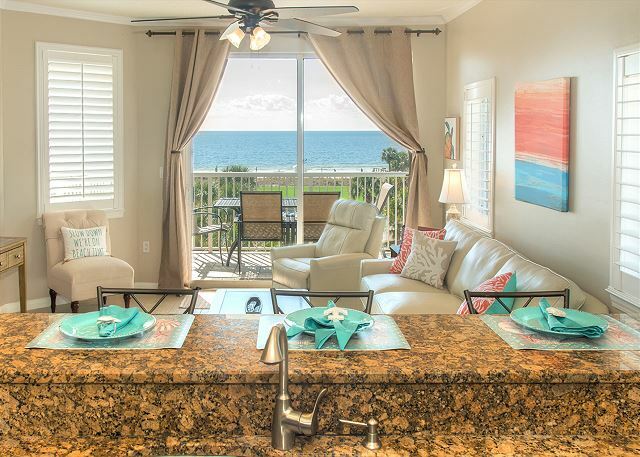 I really hate to brag on this place because I don't want the competition when booking it next year but this unit is one of our favorites on the gulf side. We have never stayed on the bay side. Dear Mr. Pulley, We love that you took the time to brag on this unit, and want to thank you for this wonderful review! 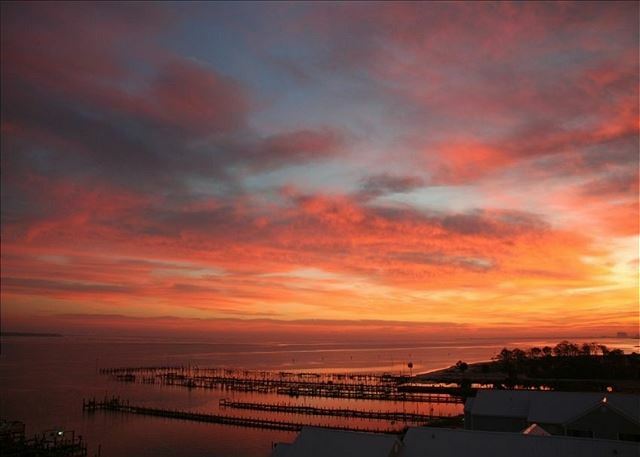 Our Gulfside units have some the prettiest views on the island, but I do have to take a minute to say that I am partial to Bayside as well. 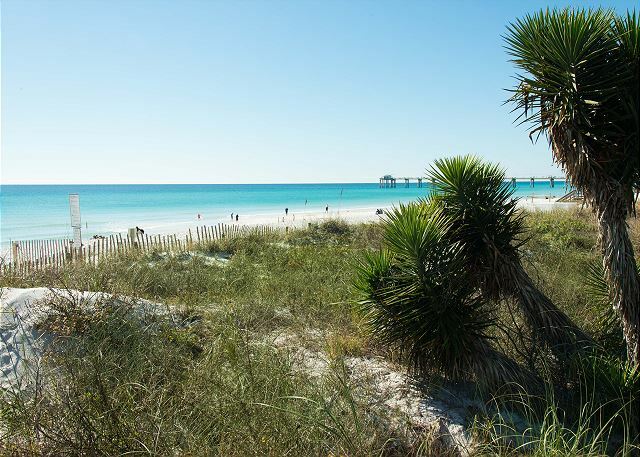 So if you ever have trouble finding a unit for a week you need on the Gulfside, don't be discouraged, as I'm sure you won't be disappointed with our many options! We'll be ready to help you book your next trip whenever you're ready to come back. This place was great! We had plenty of room for a large group and never felt like we were crowded. 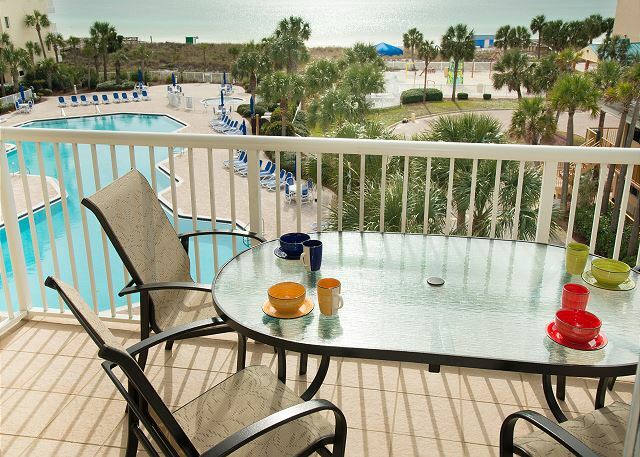 The view from the balcony is amazing and the location of this property is perfect for pool, beach, and bayside access. Highly recommend. 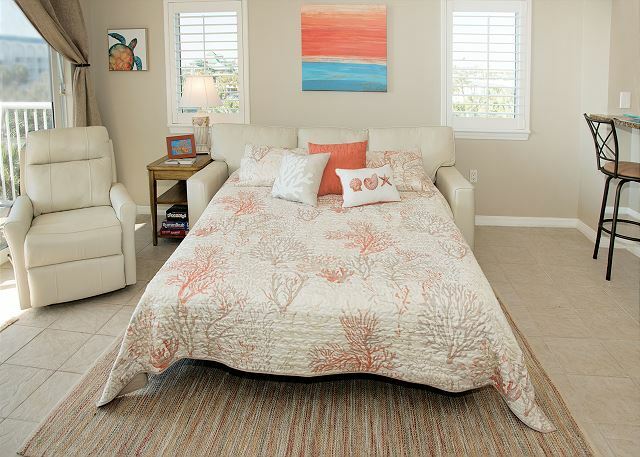 Dear Ms. Whiting, I'm so happy to hear that you loved your time in 416 Gulfside! It does have a beautiful view of the ocean. 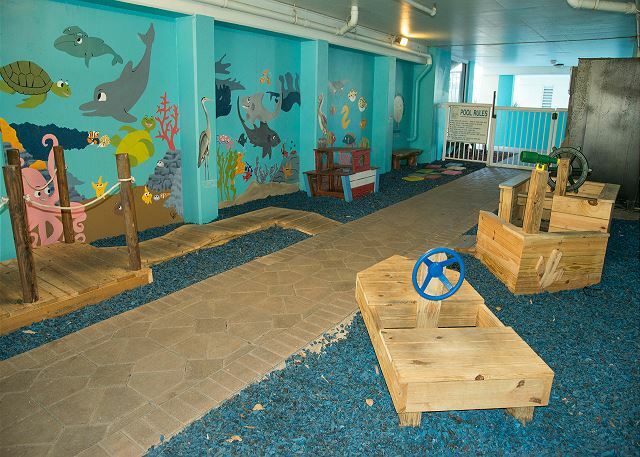 We're ready for your next visit whenever you are! 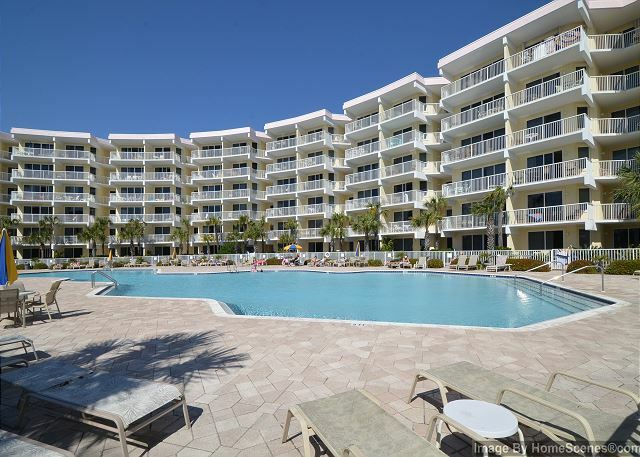 Great location, condo, and management! We were offered a brief stay in another condo on the bayside when we had water problems!! We were well taken care of. 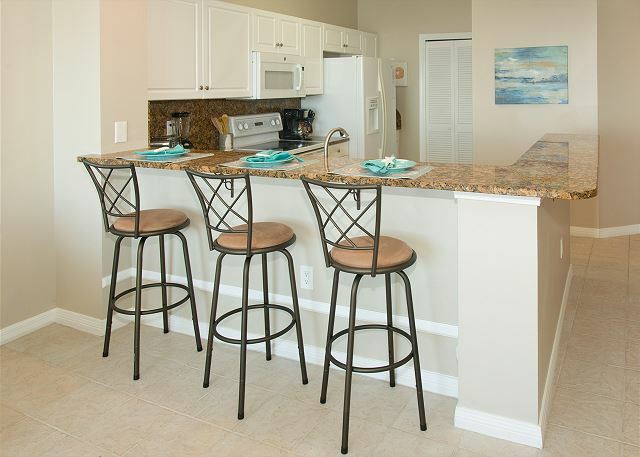 Only small issue we have with the condo is the bar height chairs and table. Long term it's hard to always climb up when you're older. But we still love it. Thank you so much for the great review!! We can't wait to see you back next year. Wished I didn't have to leave! Definitely will be back! Great Views! Great Location! We even had Great weather! Amenities were Superb! If you can go just do it! Dear Ms. Morrow, We truly appreciate your wonderful review! Thank you for taking the time to let us know you enjoyed everything about your vacation with us! We can't wait to have you back! Overall we had a wonderful stay. This was our first vacation with our 17-month old. We reserved a pack n' play. There was also a high chair, beach wagon, sand toys, two beach chairs, two beach towels, and a beach umbrella in the unit. We were also surprised to discover plastic baby spoons and plastic dishes in the unit. The wagon made it very easy to haul our stuff to the beach and pools. It was very convenient having a washer and dryer in the unit. We flew with a toddler so were able to bring more for her since we didn't have to bring enough clothes for the entire week. 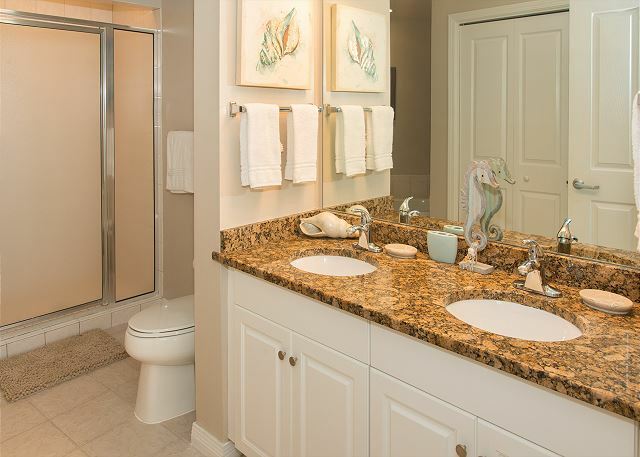 The condo was very updated and overall clean. However, the floors were very dirty and looked like they had not been scrubbed in awhile. Our toddlers feet were black when I went to change her for bed. There was a sweeper in the unit, however, so I was able to sweep up dirt and sand when we arrived and throughout the week. I also washed the bathroom mats which also looked like they hadn't been washed in awhile. This was our only complaint; everything else exceeded our expectations. The only thing I would complain about the couch is very uncomfortable no padding like it's worn out. 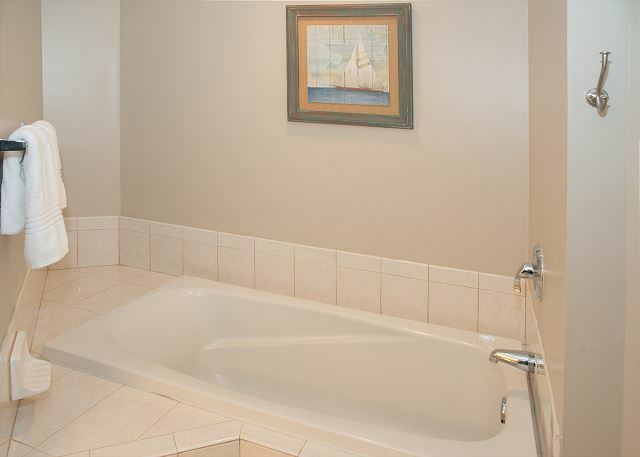 And this condo does not come with beach chairs and umbrella. You have to pay seperate. It was not a deal breaker though. The balcony view is great. 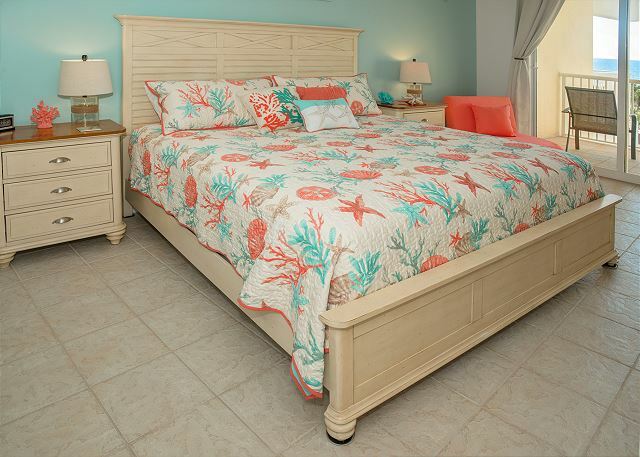 And the master bedroom bed was great. I would stay here again. 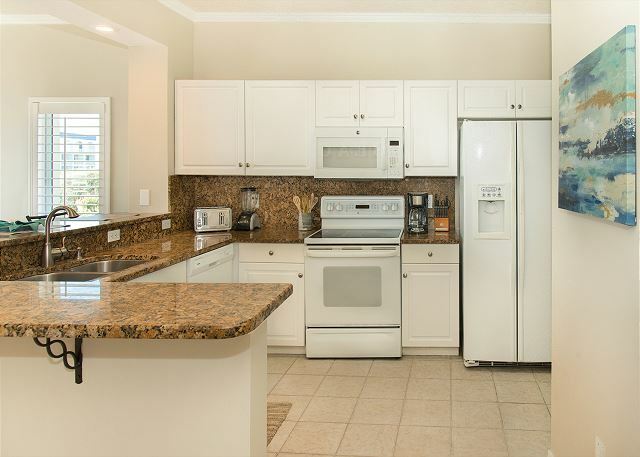 Beautiful location, clean and well maintained. Lots to do or just sit and relax. Great Experience!! Super nice and Clean. Thank you, Deedee! We appreciate the feedback and hope to see you again! The condo was great, in a perfect location! The place was very clean and well kept, except for the floors which made our bare feet dirty. The patio door was extremely difficult to open/close. 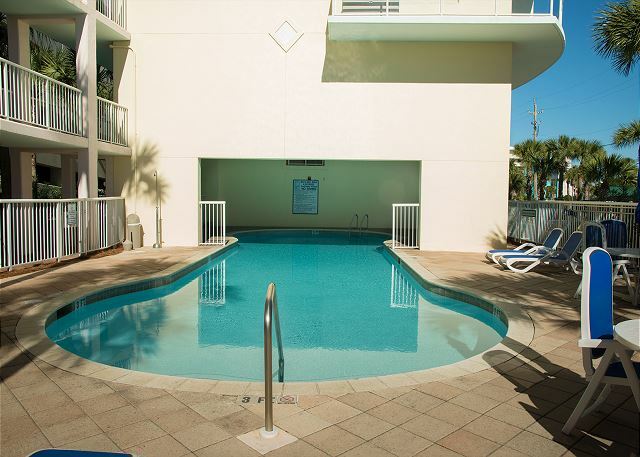 The staff was very courteous and definetly kept the pool and pool area clean and beautiful. We did love the space, decor and location and hope to come back again next year. The owner/manager was easy to work with and very accommodating. The beach is awesome, the water beautiful and we saw dolphins from the beach too. The drive down the road to Destin was short and easily accesisible. We had so much fun on the dolphin cruise, at McGuire's Irish pub and hanging around the boardwalk both in Destin and ft. Walton. Great food at Bella Serra Italian restaurant and crab shack too. Only restaurant we didn't care for was Rockin Tacos, but overall our experience was absolutely wonderful!! John thanks for the great review. The floors are a continual problem with the bringing of the carts, wagons and such it is difficult to keep them from getting the bottom of feet dirty. The balconies are another source of tracking in to the condo. We had the door rollers replaced and apologize that they were hard for you to open but appreciate your letting us know. We hope to have you stay with us again next year. 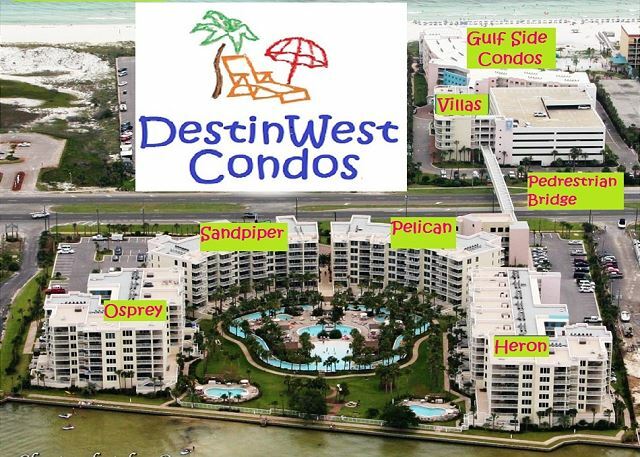 Love Destin west nice condo. The condo was beautifully decorated and the perfect location to all the restaurants and bars, we walked to most of our outings. There was only 4 of us but the condo easily fits 6-8. Balcony is nice size and the way the resort was angled, we didn't feel much of the wind (it was red flag most of our visit). The Kueig was a nice touch in the morning, remember your k-cups and they also had a blender, which we used daily for frozen drinks by the pool. If you forget anything, the publix was just over the bridge. Also Destin is just 10 min east. 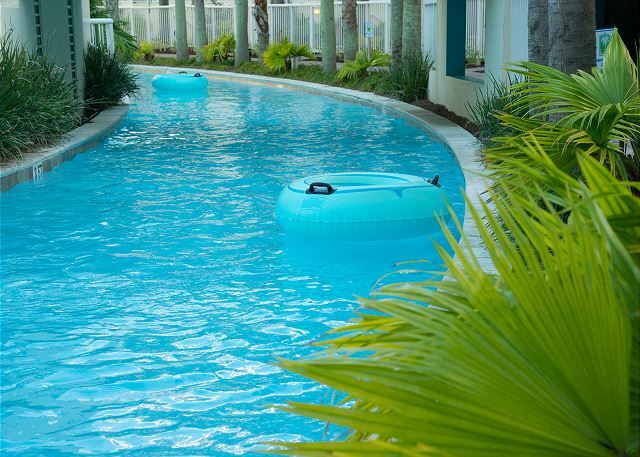 The resort had a lot of amenities, you had access to the neighboring hotel pool and beach bar and just over the walkway was the rest of reort which has a lazy river and heated pool. The owner and management group were very helpful with all our questions and very responsive. We will definitely be back!